Minnesota Orchestra trumpeter Charles Lazarus performs original songs inspired by traditional Hawaiian music, accompanied by Tommy Barbarella, Jeff Bailey and Craig Hara in TPT's Studio A.
Minnesota Orchestra trumpeter Charles Lazarus performs original songs inspired by traditional Hawaiian music, accompanied by Tommy Barbarella, Jeff Bailey and Craig Hara, in tpt's Studio A. Artist Bio: Charles Lazarus studied at the Julliard School in New York City and made his Carnegie Hall debut at the age of 19. 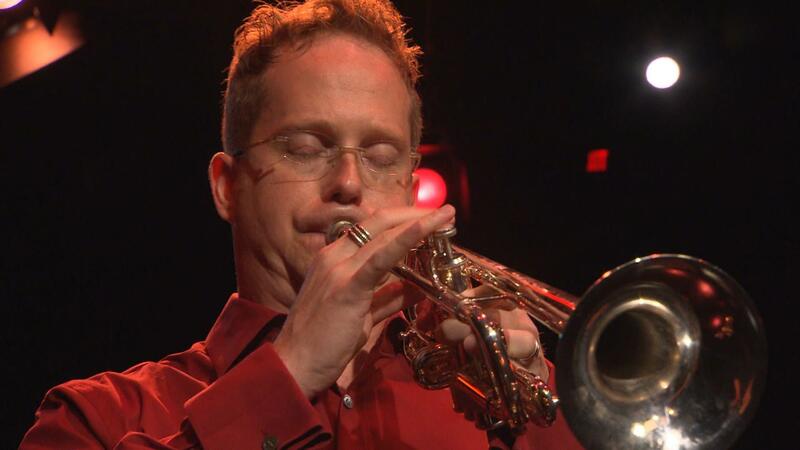 Currently a trumpet player in the Minnesota Orchestra, Lazarus has also played in various chamber, pop, and jazz ensembles as well as major symphonic orchestras. As a composer, he is best known for blending lounge/exotica and funk-fired jazz.